Great West Life Assurance Co. Can lessened its holdings in Brookline Bancorp, Inc. (NASDAQ:BRKL) by 7.0% in the third quarter, according to the company in its most recent Form 13F filing with the Securities and Exchange Commission (SEC). The firm owned 106,154 shares of the bank’s stock after selling 8,000 shares during the quarter. Great West Life Assurance Co. Can owned approximately 0.14% of Brookline Bancorp, Inc. worth $1,629,000 at the end of the most recent quarter. Other institutional investors have also added to or reduced their stakes in the company. Teachers Retirement System of The State of Kentucky increased its position in shares of Brookline Bancorp, Inc. by 8.4% during the third quarter. Teachers Retirement System of The State of Kentucky now owns 105,252 shares of the bank’s stock valued at $1,632,000 after purchasing an additional 8,131 shares during the period. Fuller & Thaler Asset Management, Inc. grew its position in Brookline Bancorp, Inc. by 63.7% in the third quarter. Fuller & Thaler Asset Management, Inc. now owns 3,813,898 shares of the bank’s stock valued at $59,115,000 after acquiring an additional 1,483,727 shares during the period. Dynamic Technology Lab Private, Ltd. grew its position in Brookline Bancorp by 134.0% in the third quarter. Dynamic Technology Lab Private, Ltd. now owns 57,481 shares of the bank’s stock valued at $891,000 after acquiring an additional 32,912 shares during the period. Cipher Capital, LP grew its position in Brookline Bancorp by 114.2% in the third quarter. Cipher Capital, LP now owns 63,292 shares of the bank’s stock valued at $981,000 after acquiring an additional 33,749 shares during the period. Finally, Municipal Employees Retirement System of Michigan grew its position in Brookline Bancorp, Inc. by 58.8% in the third quarter. Municipal Employees Retirement System of Michigan now owns 28,710 shares of the bank’s stock valued at $445,000 after acquiring an additional 10,630 shares during the period. 77.63% of the stock is owned by hedge funds and other institutional investors. 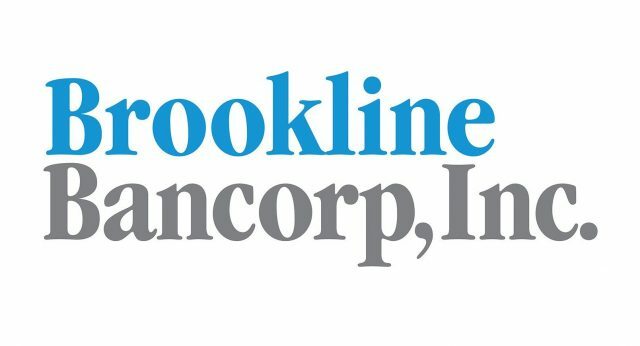 Brookline Bancorp, Inc. (BRKL) opened at $15.85 on Friday. The firm has a market capitalization of $1,207.28, a P/E ratio of 20.32 and a beta of 0.97. The company has a debt-to-equity ratio of 1.21, a current ratio of 1.16 and a quick ratio of 1.16. Brookline Bancorp, Inc. has a one year low of $13.60 and a one year high of $17.45.